Thanks to the internet, on any given day you'll find a steady stream of parcels arriving at my door containing anything that I require, sent to me directly. It's so much less painful that way and I think most Mums will agree that shopping from home while the children entertain themselves in the background is much preferable to trying to manage purchasing with kids in tow. If you're a Mum, you'll really appreciate Mamadoo, a very unique concept website for Mums and children which has been up and running for 12 months now. The one site represents over 55 stores and is growing daily, covering everything from maternity to children up to the age of 10 years. There are over 5000 products to choose from in an ever expanding selection. Mums at any stage of their journey can find their needs on the one easy to use website with one simple checkout. This is simplified shopping for multitasking Mummas, saving you time and money. Mamadoo offers both unique and everyday essentials for babies and children. This is the place to head when you want something from the ordinary to the very special: From baby's bedding to maternity clothing and footwear for little people - it's all conveniently in one place. There's no need to visit the individual websites of the sellers either. All the information you need about individual businesses is displayed including the background and philosophy behind many of the products featured as well as reviews so that you can make an informed choice about anything that catches your eye. Best of all is most sellers offer free shipping! Win, Win! So I've been exploring Mamadoo with much delight and found some fantastic finds to share here which I think are pretty fab including the brilliant SnugglePouch. So timely to have discovered this fantastic bedding concept for older babies and toddlers. You just wouldn't believe how much I need this right now! The SnugglePouch is basically a fitted sheet with a doona built in to keep baby covered all night long and acts to prevent tumbles from toddler beds or keep baby snug under cover in their cot. It's a one piece bedding system. So simple and bound to be a big hit - why didn't I think of that? Recently my toddler has taught herself how to un-zip her sleeping bag. As soon as I turn out the light each night, I hear the tell-tale sound of a zipper making the journey South followed by bouncing noises as Celeste tests her freedom on her mattress - all this shortly before the tears start when she realises she's not too comfortable without her routine baggy in place. Within two minutes of turning out the light, I am up again, light on, over and over, to repeat the whole process again and again until fatigue takes her. Not surprisingly, the SnugglePouch is up there on my list of things to purchase right now and at $139 with free shipping included, it's a pretty affordable essential too. Think simple middle of the night wet bed changes - so easy with a one piece bedding system. I wish these came in single bed sizes too. I'd fill my house with them. How about a beautiful personalised gift for your child? Telling Tales books are stunning personalised story books available in six sweet childhood themes - from ABC to numbers. To make a book, simply upload your child's image and fill in their details: gender, age and name and checkout. Your book will be posted to your specified delivery address within around 14 days. These are beautiful gifts for kids aged between one and six years of age and are manufactured by an Australian owned and operated business. The perfect gift with the least amount of effort on your part. Got to love that! My Light are an Adelaide based family business who produce hand-crafted and tailor-made light box lights. How gorgeous is this idea for jazzing up a child's bedroom or nursery while providing a safe glow to lull them to sleep soundly? Don't limit these to a children's room however, I think these would look great in any room. Get one made up with a favourite inspirational word for major motivational 'wow' factor. If you're blessed with a little baby in your life and are searching for the perfect natural fibre baby wrap, you will really want to check out the Jujo Baby Shwraps. These are lovely cotton knit baby wraps with built in arms designed for younger babies who like to have a bit of freedom where their limbs are concerned. The natural wraps are ideal for shifting baby from cot to pram and car and can even double as breastfeeding covers keeping baby wrapped at the same time. Jujo Baby Shwraps are even large enough to accommodate the needs of babies suffering hip dysplasia. These wraps are more like designer knitwear and fit babies from the newborn to eight month age range. They are fully machine washable and affordable at $55. Stuff for Mums include fab finds such as HerBelly Tea Tales - a range of delicious sounding teas produced especially for pregnant and breastfeeding Mums to aid everything from digestion woes to the baby blues. There's even a huge range of teething jewellery to cater to all tastes (literally!). Bun and Bub are a business founded by a group of Geelong Mums who came up with a concept outfit to take a Mum from maternity to beyond. They've devised the ultimate garment for wearing no matter what stage of pregnancy or after you may find yourself in. The Pregnancy Piece - their signature multipurpose garment can be worn in a multitude of ways and it even doubles as a breastfeeding cover and baby play mat! 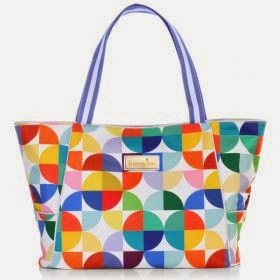 It comes in a fashionable array of colours and is such a versatile purchase for a tiny $34.95! It even comes with a free teething necklace to make whatever way you choose to wear it, an even bigger fashion statement. Very recently I was contacted by the brilliant Mamadoo website and invited to take up the exciting opportunity to become their official blogger. It's especially fun when you are invited to shop online for your kids and share your finds and purchases on your blog. I might even live for the opportunity. Yes please and thank you Mamadoo! Watch this space in the coming weeks as I will be reviewing more great finds from Mamadoo. If there's something on the Mamadoo website that you would like to see reviewed here on Six Little Hearts, please feel free to let me know. Sign up to the Mamadoo newsletter to receive regular updates on the latest and greatest products for Mums and kids. Do you prefer to shop online? Isn't it! There's a matching picnic rug and I am swooning over it! Thank you lovely! Lots of fun to be had shopping (which I am very good at with this many children). I am seriously into that light too. So much to choose from! Love that we can shop so many shops at once! I love shopping online - this is a great idea for busy Mums out there. I so wish the Internet had been around when my kids were little. It would have saved me some traumatic experiences. I don't shop online nearly as much as I'd like to, mainly because I forget it's there. I can only imagine how hard that would be. We didn't have the internet at all until I had around 3 kids and that was hard enough. Things are definitely more pleasant now. I am looking forward to shopping again! Thanks for stopping by. What did we do before online shopping? Now that My Little Ladybird has discovered the power of the tantrum, I limit my shopping centre time.... something about all those bright lights sends kiddies a bit loco?! How good will this site be for Christmas shopping? LOL! Yes Christmas could be covered I think. What a great little site!! Thanks for all the info. Love the idea of the snuggle pouch! They're great aren't they! I had been thinking of buying my toddler an actual duvet for her cot but this would be superior by far. I can't tell you the number of times I forgot why I went shopping under those circumstances. I once scraped my car on the fence outside my home after a particularly gruelling tanty prior to shopping - most unfun! Thanks Emma. 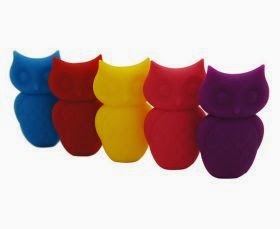 I have a collection of vintage owl jewellery from the '50's and '60's - why not branch out into owl teethers?! Thanks for getting me into a potential world of trouble with all these cute things!! The bedding has really caught my eye, will be checking it out!! Sorry Ann (don't you just love it though?). Thanks. Awesome!!! What a great site!!! So many wonderful things!! I am going to go and check it out!!! The snuggle pouch is sooo clever. Mamadoo sounds great, I could get lost for days in a website like that lol. I'm going to sign up for the newsletter! No don't show me! I already spend WAY too much money shopping online... IT is a great looking site though! Very cool site! Love how it caters to all things mum! That beach bag is certainly funky!